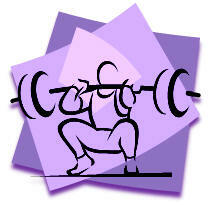 Strength Training, Fitness Training, and Functional Training activities. for each person's ability to quickly achieve success in strength training & overall fitness. click on the blue links below. How did you do on this test? Do you know your Fitness Concepts? "Teach Fitness Concepts & Core Strength; A Great 1-2 Punch"
"Teach Fitness Concepts & Functional Training: A great 1-2 punch!"